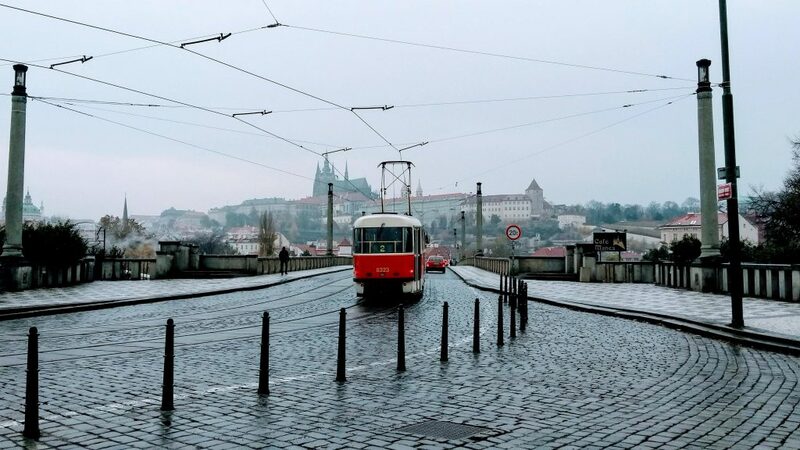 After a speedy transfer from Prague Airport we dropped off our bags at the K&K Hotel Central, our base for our two nights in Prague. First stop was lunch, we stumbled upon a market in Republic Square just minutes from the hotel, we each a had delicious hot pulled pork baguette from a street food stall. There are lots of interesting food stalls dotted all around the city with their tempting warm steamy aroma. 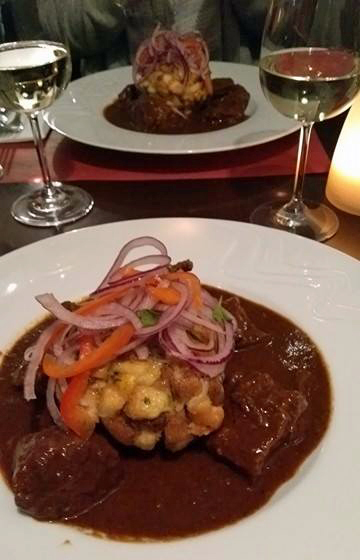 In the evening it was time to sample some traditional Czech cuisine so off we headed to Nostalgie restaurant in the Old Town, here we had their beef goulash and dumplings with a nice glass of wine. Refueled it was time to explore some of Prague by night so we headed to the Old Town Square with all the beautiful buildings lit up, window shopping past Parizska Street with its numerous designer shops then along the river to the magnificent Charles Bridge. We decided to end the evening sitting outside a bar on Old Town Square, with a warm drink keeping cosy under the big heaters and fluffy blankets. The next morning after a great breakfast we set off for a whole days sightseeing. 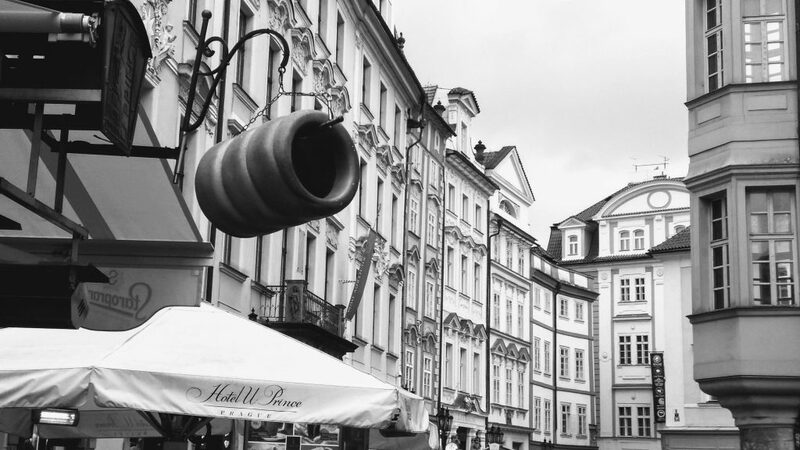 We headed over the Charles Bridge, past St Nicholas church and ambled up Nerudova Street, full of quaint little shops and cafes. 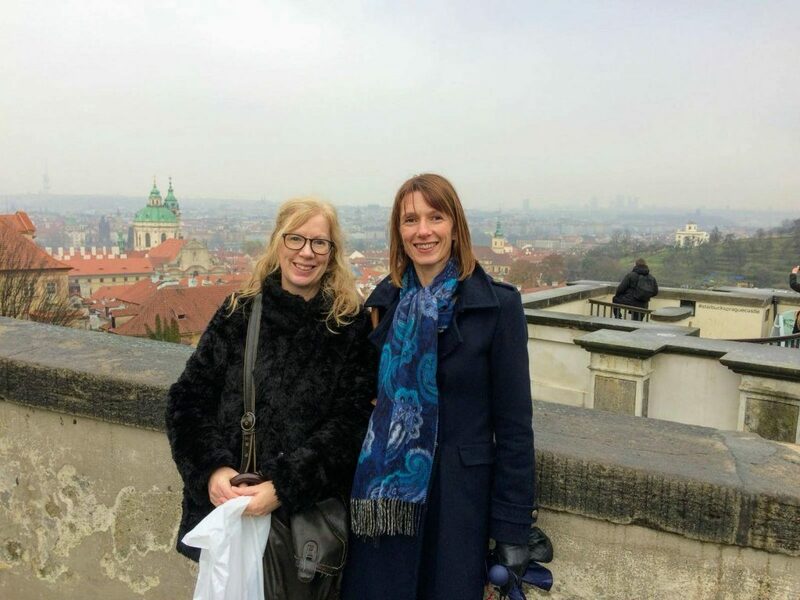 We carried on up the hill toward the castle, stopping at a stunning view point where you can see right over the rooftops of Prague, an ideal photo opportunity. 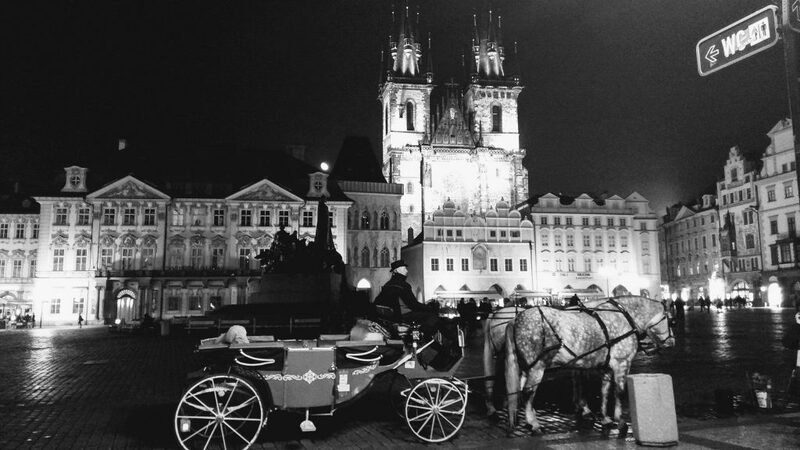 We could have spent hours wandering around the Castle and St Vitus Cathedral! We went to watch the changing of the Guard at 12pm then headed back across the river for some lunch. Once again we found a lovely traditional restaurant for lunch where we had a very hearty potato soup served in a bowl of bread. Delicious and just what we needed to heat us up and keep us going this afternoon! 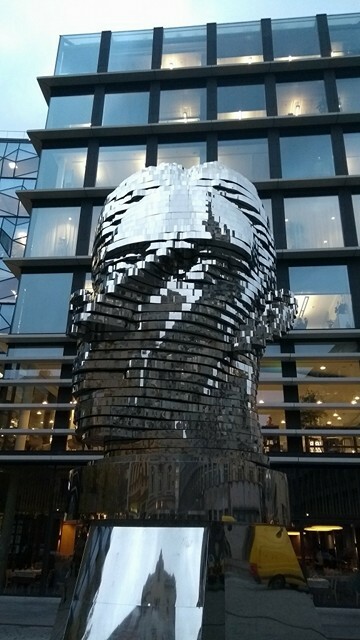 We then wandered over towards Wenceslas Square passing the very modern Franz Kafka moving sculpture. This is a great place for shopping with tonnes of high street shops. Time was getting on so we finished off with a quick look at the Palladium shopping centre, the largest in Prague. 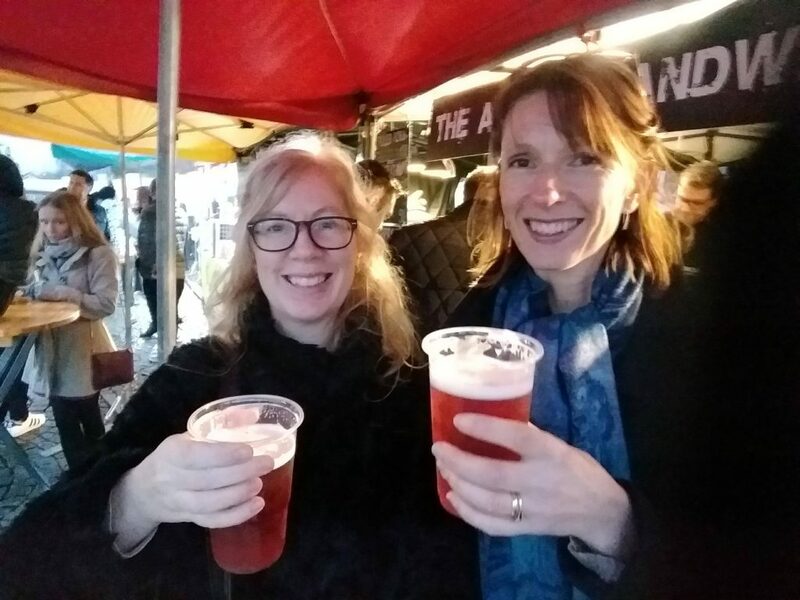 Needing a refreshment we stopped off for a raspberry beer from one of the outdoor stalls. We headed back to the hotel to get ready and grab a refreshing drink during their happy hour then went in search of somewhere for dinner. 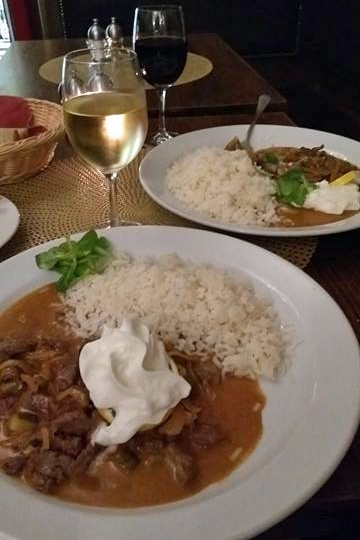 We stumbled upon the tiny Pushkin Restaurant where we enjoyed a delicious beef stroganoff. 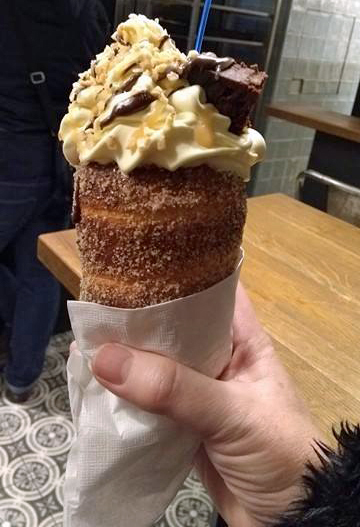 We decided to give dessert a miss at the restaurant as we had been told about the famous “chimney” pastries you can pick up on every street corner from the tasty food stalls and it certainly lived up to expectations! It was time to head back to the hotel for a early night after all that food as our flight back to Edinburgh the next day was first thing. 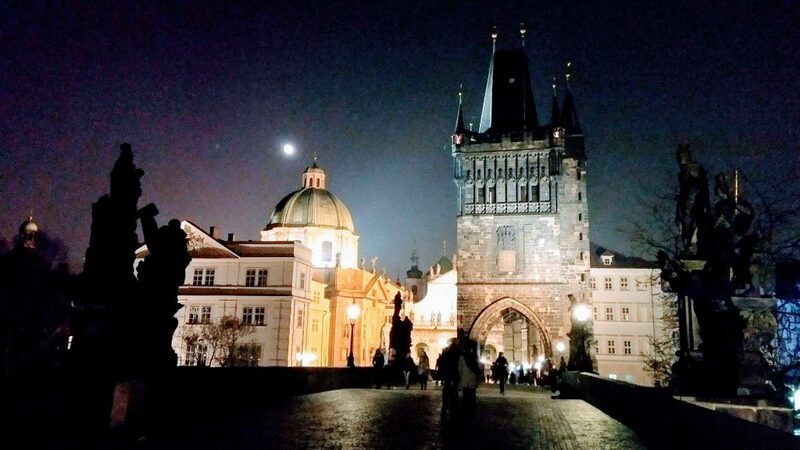 We loved Prague and all that it offered and will certainly be back! 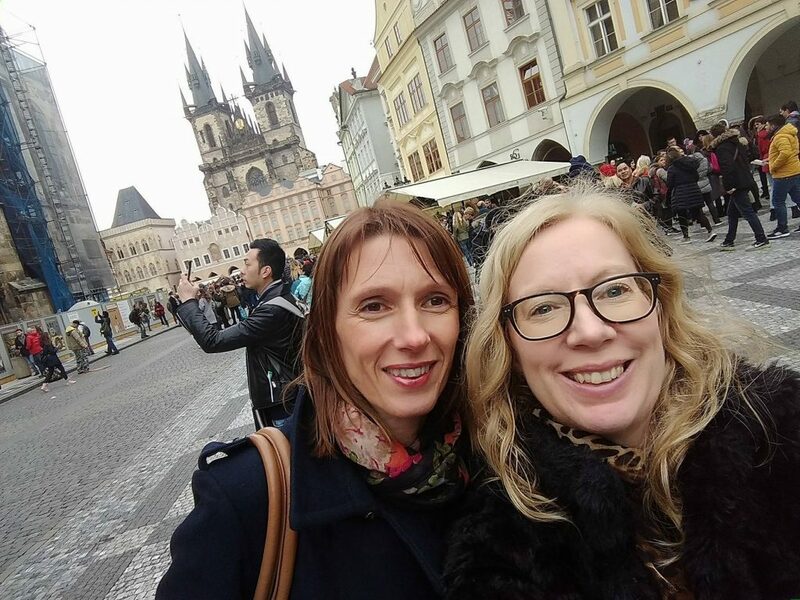 To find out more about Irene and Diane’s Prague trip around or to get a quote for a similar trip give us a call on 0131 243 8098 or request a tailor-made one online.